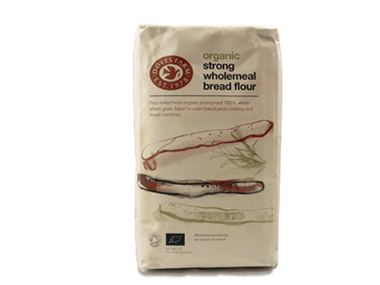 Order Doves Farm Strong Wholemeal Flour from the Online Health Food Store UK. Buy Doves Organic Strong Wholemeal Bread Flour 1.5kg and other quality Other Flours safely online in the UK. Flour milled from organic strong hard 100% whole wheat grain. Ideal for oven baked yeast cookery and bread machines. Where to buy Doves Farm Strong Wholemeal Flour safely online? Shop at the Online Health Food Store if you are wondering where you can buy Doves Organic Strong Wholemeal Bread Flour 1.5kg safely online in the United Kingdom.